Reproduction of assault rifle, made of metal and plastic, with loading and firing simulated mechanism and with removable magazine. 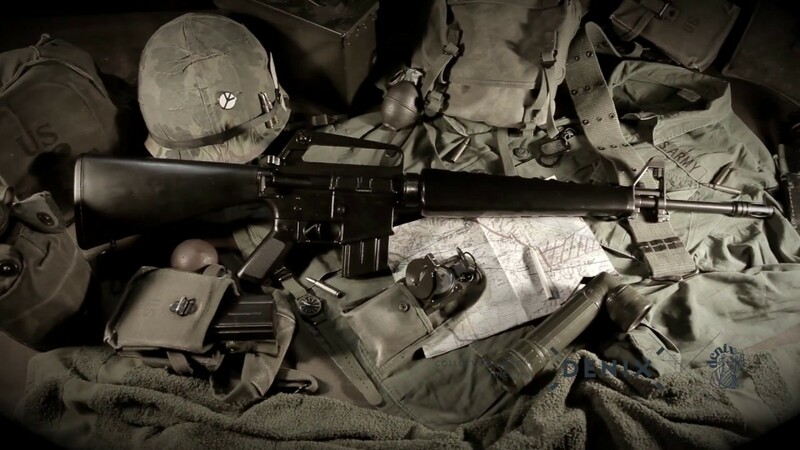 The M16 assault rifle was designed by Eugene Stoner in the 1950s with the original name of AR-15. Made of steel, aluminum and various plastic components, it is an automatic assault rifle powered by gas and rotary bolt, powered by removable clips of 20 and 30 cartridges of caliber 5.56 mm. It shoots a speed of 800-900 shots per minute and an effective range of 500 m.